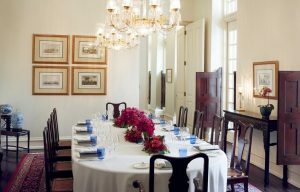 Singapore (Singapore) – February 6, 2019 (travelindex.com) – Raffles Singapore unveiled today its new line-up of dining experiences, which combine the hotel’s much-loved culinary traditions with contemporary dining concepts by renowned celebrity chefs. Each dining concept promises to tantalise the senses and has been carefully selected to enhance the famed ‘Raffles Experience’ for the local community and the discerning travellers. The classic Raffles Afternoon Tea experience will be served at a new location – the iconic Grand Lobby of the Raffles Singapore. Guests can indulge in one of the hotel’s great traditions – a truly unique and refined Afternoon Tea with a distinct sense of heritage – in the newly restored lobby. The Raffles Afternoon Tea is perfect for sophisticated and elegant celebrations, serving classic sandwiches, home-baked scones and cakes as well as seasonal indulgences, complemented by a curated collection of exquisite teas and Champagnes. Copyright © 2019 Indonesia Tourism. All rights reserved. Powered by Travelindex.